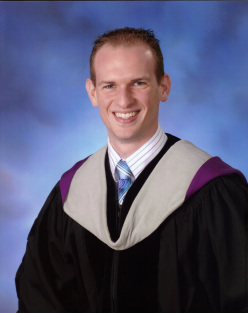 Dr. Matthew Groves earned his Doctor of Chiropractic degree from Palmer College of Chiropractic in Davenport, Iowa. Palmer College is the first and largest chiropractic college in the world. One-third of all practicing chiropractors are Palmer graduates who contribute to the health and well-being of people around the globe. During his time at Palmer College, Dr. Groves was a member of the Sports and Occupational Injury Club, Nutrition Club, Student International Chiropractic Association, and Sports Council. Dr. Groves is well known for his care of difficult cases. He is also competent in many different adjusting techniques, including Gonstead, Diversified, and Activator Methods which allows him to individualize treatment to each patient's specific needs. In 2007 he earned a Bachelor of Science degree in Medical Science/Biological Science at Southern Illinois University Edwardsville. While he was there, he was involved with several research projects focusing on environmental conservation. Also, at SIUE, he played varsity Division II hockey and helped the team win three straight championships. As a lifelong hockey player, he has an understanding of the importance of chiropractic, nutrition, and fitness in maintaining optimal health. Dr. Groves is a native to the Central Illinois area. When he is not working with his patients, Dr. Groves enjoys camping and being outdoors with his wife and two daughters. He also spends time playing hockey, running, and speaking on health topics. ​Dr. Groves is also the official chiropractor of the Prairieland Punishers Women's Flat Track Roller Derby Team!